Yesterday, I went to support my friends (a married couple) from my CrossFit gym (Diablo CrossFit) at the Sac Throwdown which is a yearly CrossFit competition. This was held at the Sleep Train Arena (home of the Sacramento Kings). They both participated in a team of 4. They were in the Masters Division (38 years old and up). They are a pretty AWESOME couple. I always see them at the gym, as well as, their two daughters (10 and 8) whom you can hear cheering them on in the video. They are about mid-40’s I believe and you could never tell. I always thought they were in their 20’s because they are SUPER FIT (fitter than most at the gym) and are very youthful in personalities and appearance. Their children are also active and involved in various sports and they all follow the Paleo lifestyle. 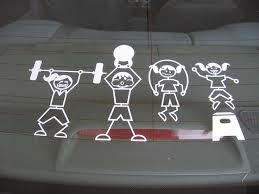 I love seeing couples and families following a healthy and active lifestyle. I love seeing them at the gym or even seeing them while hiking on a trail or doing other outdoor activities. It just confirms how much I believe that you don’t have to quit doing active things or start making excuses once you get to a certain age or get married and/or have kids. Some make excuses such as “I have no time”, “I’m too old”, “I’m too busy”, etc. and all they want to do is just stay home, eat, and watch TV living vicariously through characters on TV. You also hear excuses from even young couples that just enter into a boyfriend/ girlfriend relationship. That’s when all the excuses begin but that shouldn’t be the case. Especially when you love someone, you should all the more take care of your health and well-being. The more you love and take care of your health and well-being, the more you can love and take care of your significant other and/or family’s health and well-being. Also, all the more you should want to improve and become better all around. It is true that when you enter in a relationship that the significant other should “accept you for who you are” but that doesn’t mean let yourself go! Being in a relationship requires work. Work hard to keep the relationship going and improving. In order to improve as a couple, both individuals would have to grow and improve as well (physically, mentally, and spiritually). Couples should be able to support each other in these goals in order to improve and keep the relationship happy and exciting. And if kids are in the picture, the healthy/ happy lifestyle will carry on to them as well. Kudos to healthy and fit families!